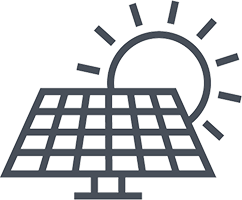 With huge advances in technology and scale making it one of the cheapest options for generating electricity, solar is now a real option all over the world. Energy storage technology is advancing and cost are coming down significantly. There are many ways to store energy, but Lithium Ion batteries are one of the most common, flexible and cost effective today, in part because of the boom in mobile devices and electric vehicles. Whether stabilizing the electricity grid, helping customers avoid Peak hour charges or simply acting as a backup to homes and businesses, some analysts describe the potential of energy storage to make our grid significantly more efficient and cost effective as, “revolutionary". 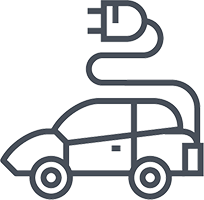 With the increasing popularity and use of electric vehicles on our roads, the need to expand the existing charging infrastructure will become more prevalent. For the use of electric vehicles to reach its full potential, both private and commercial users will need access to a viable charging infrastructure and grid capacity which is lacking today. The faster we want to charge our electric vehicle the more strain we place on the grid. The potential to return unused energy from the vehicle, back into the grid, is also now being explored. 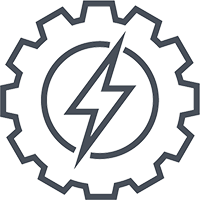 Across the world, the way electricity is generated, managed and used is changing rapidly, with the move from centralised power generation and high voltage distribution networks towards de-centralised power plants, often from renewable sources. Smarter use of energy, more efficient appliances and lighting, plus more localised electricity generation creating virtual power plants will make our grid more reliable, more efficient and a lot more cost effective.